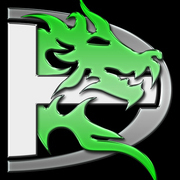 The Destined (T-D) is a Clan which has a blend of casual and skilled older players. We are branching into Warships and beginning to recruit. From our beginnings in World of Tanks, we have maintained a family friendly atmosphere and will continue that into Warships. (1) No Foul Language or conversations that you wouldn't want your kids to hear on TeamSpeak. (2) TeamSpeak is a mandatory install and it is expected that our members use it most of the time they are online playing. We do have a "quiet" channel. (3) Represent yourself and the clan in a mature manner in game chat. We do have a competitive streak, so we would want players who are actively working to improve. Currently, we have clanmates from the US, Canada, and one from South America. Our most active time is 9:00pm-11:30pm Eastern. If you are looking for a clan for divisions, operations, etc. and this might be a good fit, message sledgehammergray, engdave3, or viglundr -or- come visit and talk to us on TeamSpeak3 at (ts.the-destined.com). Great post Sledge, we are definitely looking for a few like minded adults to join. Just a bump and a hope to meet you soon.